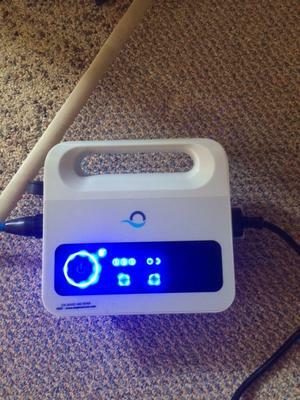 Hi I have a brand new "Dolphin Premium Robotic Inground Pool Cleaner with BlueTooth Technology" and the power supply box will only light up half of the display. I cannot choose programing or the fast setting. I have attached a picture. Any help would be appreciated. I only know one Maytronics Authorized Repair Service. I can't help with this.